Turret punched and folded steel sheet construction - light, but strong. Powdercoated gloss black for corrosion protection and to match engine. 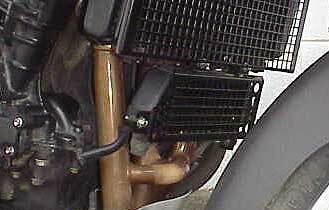 Full protects the vulnerable oil cooler from stone damage. Simple 2 point mounting for strength and protection. Can be fitted in less than 15 minutes.